If you’re in the market for new VW cars or a wide selection used cars, Gainesville, FL has you covered with Volkswagen of Gainesville. Whether you’re in Lake City, Ocala or Orange Park, FL, make the short trip to our Gainesville car dealership today. Drivers looking for new Volkswagen models will be happy to take a look at our new VW car inventory. 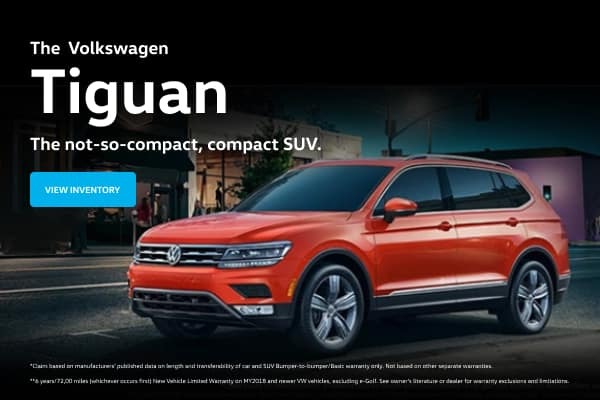 We have an extensive selection of new Volkswagen vehicles ranging from the classy Volkswagen Passat sedan to the smaller Volkswagen Jetta compact. We even have more accommodating options like the Volkswagen Atlas, a large SUV that builds on the heritage of the Volkswagen Touareg, available for you to test-drive today. No matter which Volkswagen vehicle you’re looking for, we’ll be sure to take great care of you. Our customer service goes above and beyond to ensure you find the right Volkswagen model for your lifestyle. Keep an eye out on our websites for price changes, new offers and lease deals. Call our sales department at (855) 868-8731 or visit Volkswagen of Gainesville today to get started. In addition to our new VW cars, we have a large selection of pre-loved used vehicles on our lot. We have makes and models ranging from luxury vehicles to family cars to compact sedans, and any one of them could be yours. Additionally, part of the Volkswagen of Gainesville Advantage is a 10-year/100,000-mile warranty on virtually every used vehicle on our lot. 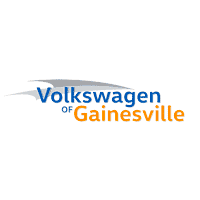 If you’re looking for used cars in Gainesville, FL we have you covered here at Volkswagen of Gainesville. Take a look at our large inventory today. When you shop for Certified Pre-Owned (CPO) vehicles, you can have confidence in your purchase at Volkswagen of Gainesville. All of our CPO models undergo 100+ point dealer inspections. To become certified, these VW cars must adhere to strict standards, including tests for transmission performance, engine performance and steering tests. In addition to Model-Specific Limited Warranty Coverage, our CPO vehicles also come with 2 years of 24-Hour Roadside Assistance. Now that’s a guarantee you can count on! Shop our used and pre-owned vehicle inventory at Volkswagen of Gainesville today. Looking for an auto loan with an affordable per-month payment? Look no further than the financial services that our Volkswagen finance professionals provide. Our finance experts provide excellent customer service while looking for perfect and affordable options for you. VW car finance deals have never been this appealing. While you can negotiate your car loans in person at our dealership, you can also use our website for a number of options. Pre-qualifying for Volkswagen credit is now easier than ever with our online tool. You can value your trade-in and even calculate potential monthly payments with the payment calculator on our website. Get started online today. Visit our state-of-the-art auto repair shop for any repairs you need. Our VW Service Department can handle the routine maintenance procedures like oil changes and tire rotations down to the heavy-duty repairs that require more time. No matter what your car needs done, our service professionals, trained in the art of customer service, can handle it. Our service technicians can take care of both Volkswagen models and used vehicles alike. Call (855) 867-1634 or use our website to schedule service appointments today. If you’re confident in your inner mechanic, check out our Volkswagen Parts Center and browse our parts inventory to find exactly what you need. Whether you’re looking to take care of a personal project or you want to ensure your repairs are done the right way, we have the genuine VW car parts you need. Call us at (855) 867-1591 for more information. Drivers in Ocala, Orange Park and Gainesville, FL are more than welcome to stop by our VW dealership today to let us take care of all of your automotive needs. Experience the finest customer service that Florida has to offer. Stop by our Gainesville car dealership today to get started.